Did you know essential oils can give you a fresh pillowcase, a sparkling clean microwave, and smooth skin? It’s true—they’re great in these ways and more! 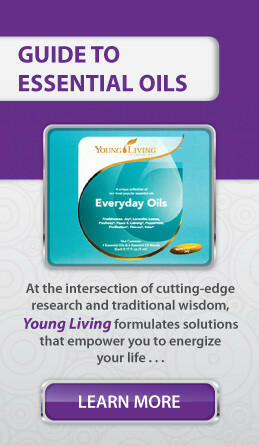 Packed with numerous benefits, essential oils have untapped potential in every bottle. Check out these totally legit uses. 1. Steam-clean your microwave. Mix 4 drops of Lemon essential oil and 2 cups of water in a microwave-safe bowl. Then place the bowl in the microwave, and microwave it on high for 3 minutes. The steam from the water can help you remove buildup, so you can wipe your microwave clean in a snap. Your microwave will smell extra fresh too! Use caution when removing the hot bowl. 2. 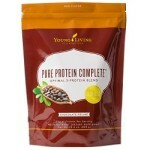 Minimize the appearance of wrinkles. Embrace a more youthful appearance by incorporating 2-4 drops of Helichrysum into your skin care routine. You can also add 2-4 drops of Frankincense essential oil to your moisturizer to reduce the appearance of an uneven skin tone! 3. Purify the air. Diffuse Kunzea essential oil or our Purification® blend to eliminate unwanted odors. 4. Soak in a relaxing bath. Put a few drops of Lavender essential oil in your evening bath to unwind after a busy day. 5. Craft your own wood cleaner. 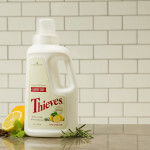 Mix 1 capful of Thieves® Household Cleaner with 1 cup of olive oil in a spray bottle. Spray onto a microfiber cloth and polish cabinets, tables, and other wood furniture. Remember to do a spot test first. 6. Refresh musty laundry. When daily tasks pile up, it’s easy to forget to take the load of laundry out of the washer, which can result in stinky clothes. Keep Tea Tree or Lemon essential oil nearby to save the day. Add 2 drops of either oil to your detergent and run the washer again for fresh-scented garments. 7. Fill your home with your favorite scents. Put several drops of any essential oil on a cotton ball, and place it in your vacuum canister before you clean. The air moving through the vacuum will fill the space with a pleasant aroma. We recommend our Citrus Fresh™. 8. Keep blemishes at bay. Improve the appearance of your skin with Blue Tansy, Copaiba, Manuka, or Tea Tree! Add a few drops of one of these oils to your skin care routine for a fresh-looking face! 9. Enhance your hair products. Mix 2-3 drops of Spearmint or Rosemary essential oil with your shampoo and conditioner in your hand. Soothe your scalp and enjoy the tingling effects. 10. Create a fragrant home. Put 8-10 drops of a refreshing scent like Lemongrass on your furnace filter every time you change it. The air flow will circulate the aroma throughout your whole house! 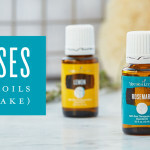 To uncover more exciting essential oil uses, view our posts about 13 creative ways to use essential oils and how to clean the 15 dirtiest spots in your house!